You may not realize it, but it’s almost the most magical time of the year. Although this phrase is commonly associated with the holidays, I can assure you that magical events happen on a near-daily basis here at the library. Day in and day out, those of us who work in youth services get to see little faces light up when the small miracle of connecting with books happens during storytime. I don't put it lightly when I say that the most magical storytime of the entire year is approaching. 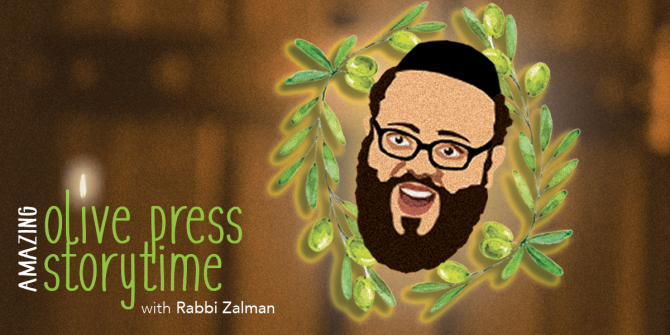 Amazing Olive Press Storytime with Rabbi Zalman Teichtel is 10:30 AM Friday December 7, 2018. This annual event has been an LPL staple around the holidays for the last 10+ years. 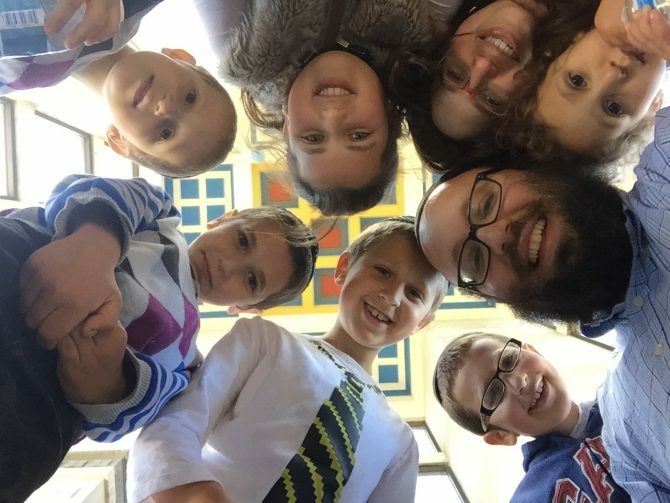 At Olive Press Storytime, all the best parts of a typical storytime are still present, but here they're loaded with rituals surrounding the blessings and miracles of Chanukah stories. While everyone in our community may not be familiar with the Jewish observance of Chanukah, this storytime is a chance for all families to participate in one of the oldest stories from one of the oldest religions in the world. Trust me, this event is for EVERYONE. Rabbi Zalman is warm and kind, and he puts on a great show with a dramatic retelling of the story of the first Hanukkah. The most magical part of this most magical storytime is when you and your child help the Rabbi make olive oil to light the menorah. Lighting the wicks with LPL-pressed olive oil is a pure joy every year. This event has become so popular, we’ve had to move it to the Auditorium so that everyone can get a chance to participate. I can give you a million more reasons to attend this storytime, but let me just end with these: LATKES. Looking for more magical events to attend with your kids? We’ve got two more excellent opportunities coming up this month. Sing, move and play to winter and holiday favorites! Build a gingerbread house! We'll provide the fixings, you bring the creativity.